More sad news in Philippine cable television. At midnight of January 15, the ABS-CBN Regional Channel and TAG permanently signed off the air. According to Creative Programs Inc., they cite a ‘change in business direction’ for the closure of the two channels. The ARC was launched on August 1, 2016 in another attempt to make ABS-CBN Regional programs available outside its respective regional footprint. However, like the Sarimanok Channel (now the ABS-CBN News Channel), ARC was beset by various problems from the start and its inability to gain support from the mother network eventually led to its downfall. Two months later, on October 19, TAG signed on, showing Tagalized foreign films. However, it also endured its fair share of problems, the most obvious of which is redundancy due to the fact that the films shown in the channel are also aired on sister channels such as ABS-CBN, CineMo, Cinema One and Yey!. CPI will also end broadcast of the anime channel Hero on January 31. More on that in a future article. Later that afternoon, some breaking news involving a rising media outlet shook the world of journalism. The Securities and Exchange Commission announced that it revoked its registration of Rappler due to an alleged violation of a rule regarding foreign ownership of media companies. The SEC claimed that Rappler is being controlled by the Omidyar Network, a fund created by eBay founder Pierre Omidyar. Rappler denied this statement, saying that the company is ‘100% Filipino-owned’ and that Omidyar is only an investor. Rappler’s reported revocation of its registration was vehemently criticized by the likes of the Center for Media Freedom and Responsibility and the National Union of Journalists in the Philippines, saying that it violated the rights of freedom of speech and the press. Malacañang denied these claims, saying Rappler violated constitutional rules and that it has nothing to do with President Rodrigo Duterte’s criticism of the outlet. This said rule regarding the ban on foreign ownership of media companies has been in place since the 1970s. It can be recalled that GMA Network owner Robert ‘Uncle Bob’ Stewart sold the company to Felipe Gozon, Gilberto Duavit and Menardo Jimenez due to said rule, and MPB Primedia was also forced to sell its share of TV5 to Manny V. Pangilinan. Despite its revocation, Rappler said it will continue to operate and will exhaust all legal efforts in order to reconsider SEC’s decision. Good luck with that. The ABS-CBN TVplus black box continues to sell like pancakes. 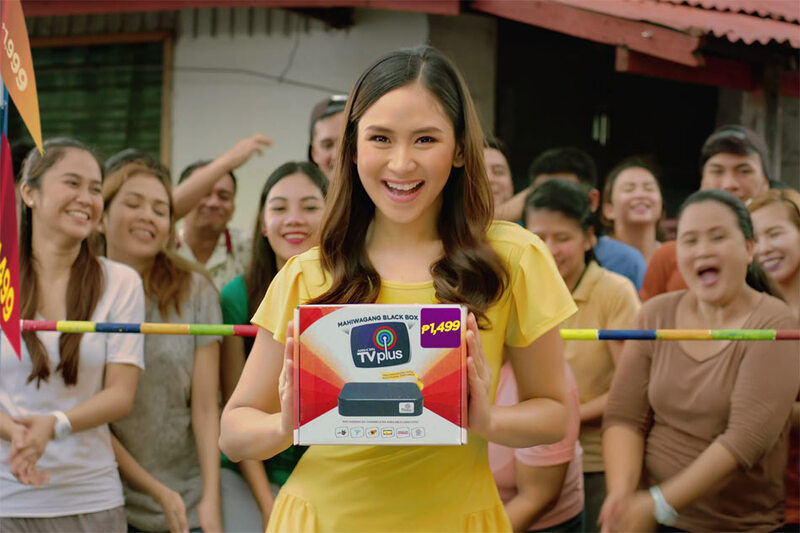 Parent company ABS-CBN recently announced that the sale of the TVplus box has reached two million units, thus surpassing its year-end target. The swift rise in sales was helped by the product’s cheaper price tag of P1499 (originally P2500, then P1999), as well as national expansion to key regions in the country. ABS-CBN TVplus continues to improve the Filipino’s viewing experience though digital quality broadcast and a transformative entertainment experience by offering more choices of channels and even opportunities to watch special TV events, greatly supporting our mission to serve the Filipino people. Launched in February 2015, ABS-CBN TVplus carries a select number of major free TV networks, including ABS-CBN and S+A. It also carries ABS-CBN’s exclusive digital channels Yey!, CineMo, Knowledge Channel, and DZMM TeleRadyo, as well as pay-per-view channel Kapamilya Box Office (KBO). Meanwhile, rival network GMA continues its planned transition to digital television. The network revealed that it plans to invest P416 million on transmitter facilities to aid in the migration process. Previously, GMA announced its plan to invest P1.5 billion on digital equipment, which was lower than the P3 billion that ABS-CBN spends for its own digital migration. GMA also unveiled a prototype of its upcoming digital television product, which is expected to combine the capabilities of a digital receiver and a set-top box. While ABS-CBN continues to make strides in the development of its digital television arm, it is clear that GMA is taking things slow. Considering that the Kapuso network has had a history of questionable investments and a poor management reputation, Felipe Gozon’s ‘conservative’ approach may be the hopeful solution for now. Still, with the target towards shutdown of analog broadcasts in 2019 within reach, GMA may not have enough time to deal with the impending migration. Sooner or later, the Kapuso network must act now, otherwise every household may end up with an ABS-CBN TVplus box, leaving GMA with little room to grow. It has been over 26 years since the rainbow became the symbol of GMA Network. Nowadays, the rainbow motif is seen on GMA’s current ‘Kapuso’ logo, which was unveiled in 2002. However, as the network struggles to keep up with ABS-CBN’s superior programming, perhaps a revisit to the original rainbow logo will remember many of the network’s good times. The rainbow made its debut in 1990, while still using the 1979 version of the GMA Radio Television Arts logo. By that point, the ‘Tower of Power’ in the network’s Timog headquarters helped GMA reach into a larger audience, but bigger plans lay ahead. Just in time for GMA’s 42nd corporate anniversary in 1992, the network unveiled what is now known as the ‘Rainbow Satellite’ logo. The era saw GMA expand its operations by constructing regional relay stations across the country (later known as GMA Regional Network Group), and it also began to broadcast in other international countries (later known as GMA Pinoy TV). For its 45th anniversary in 1995, GMA simplified the ‘Rainbow Satellite’ logo by removing the corporate slogan ‘Where You Belong’ along with the ‘Rainbow Satellite’ marking. The era saw GMA unveil a UHF channel in Citynet 27, while expanding into film production via what is now GMA Films. The final version of the original ‘Rainbow Satellite’ logo was unveiled in 1998, sans the satellite that capped the rainbow. The logo was the first to adorn the newly-built GMA Network Center, which was opened in time for GMA’s 50th anniversary in 2000, as well as the last to use the ‘Where You Belong’ slogan. In order to aggressively compete with ABS-CBN, GMA unveiled its current ‘Kapuso’ logo in 2002, with the heart adorned in rainbow accents. Though GMA found early success with the new look thanks to popular fantaseryes such as ‘Mulawin’ and the original ‘Encantadia’, financial difficulties prevented the network from gaining further ground. Indeed, it is those financial difficulties which continue to haunt GMA to this day. It’s a shame, because even though they have tried their best to equal ABS-CBN’s diverse ventures, GMA still falls short, and for CEO Felipe Gozon, that is not a good thing. Perhaps a return to a modified version of the ‘Rainbow Satellite’ logo along with an alternative set of programs could change everything. Still, it will be a huge challenge for GMA to even become at par with ABS-CBN, which is not easy.